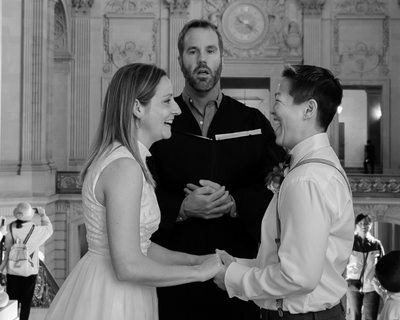 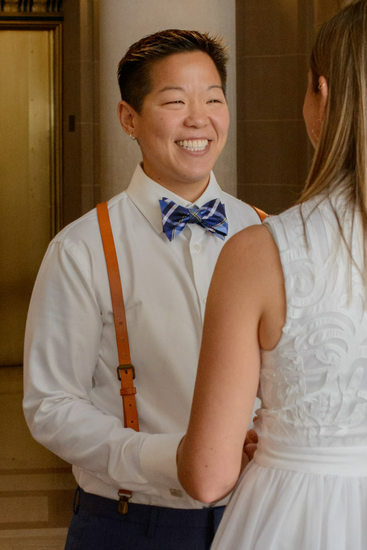 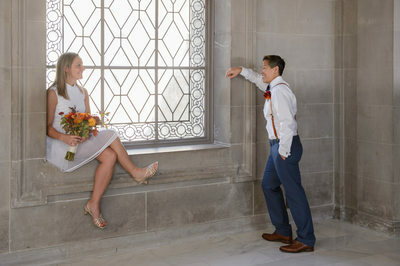 This LGBT couple was so much fun and we thoroughly enjoyed spending the day with both beautiful brides. 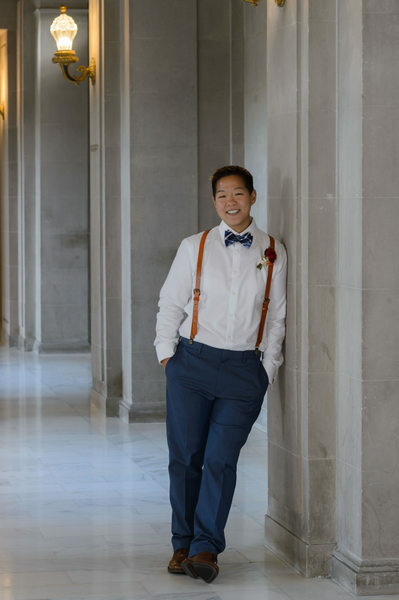 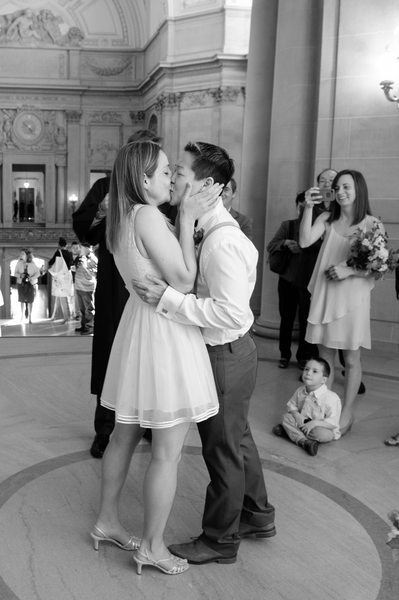 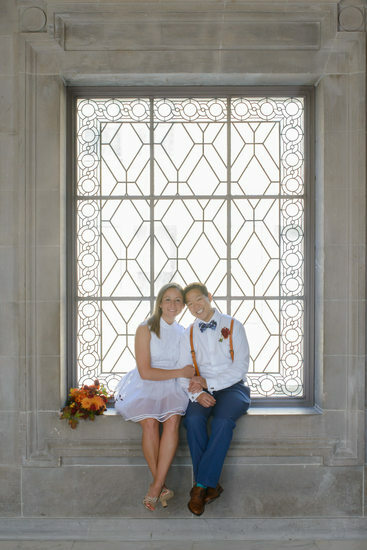 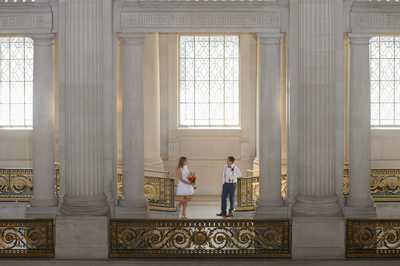 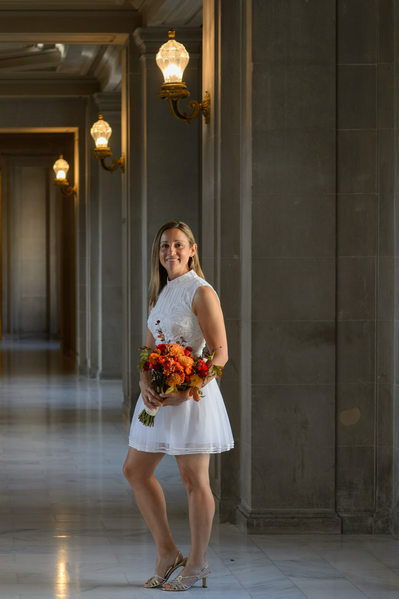 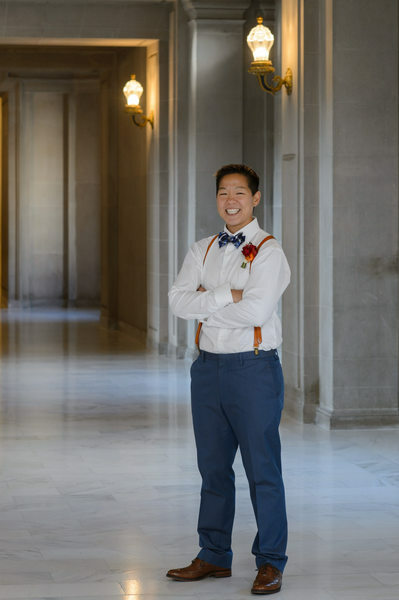 We started their San Francisco City Hall wedding photography session just after their ceremony. 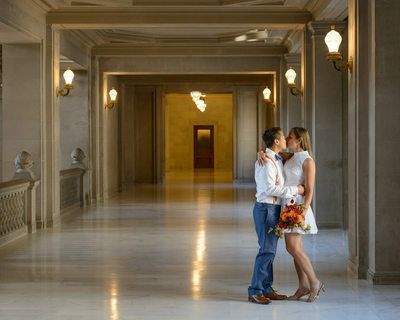 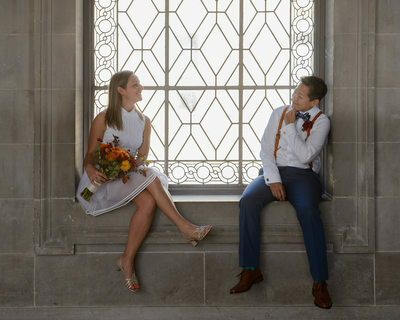 We took them around this beautiful building and got some fun and romantic shots of them. 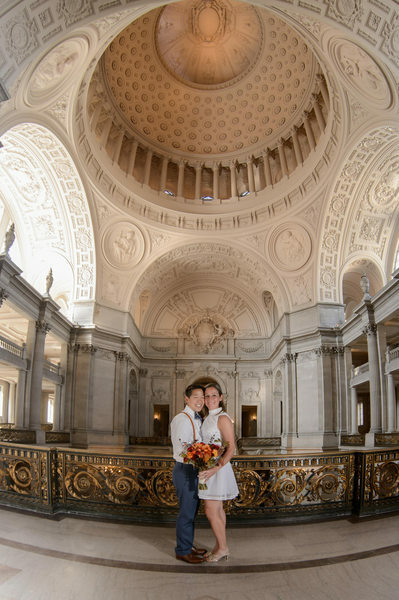 Since the booked one of our tour packages we were able to take them to Baker Beach and spend some quality time photographing them in front of the Golden Gate Bridge. 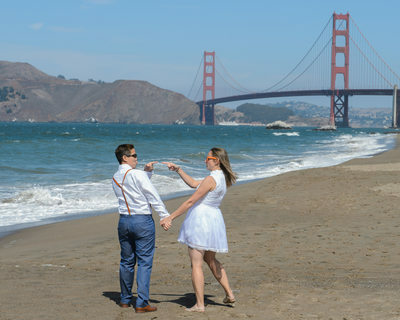 We love Baker Beach for wedding photography because we are able to obtain photos in front of the bridge and also the beach and waves. 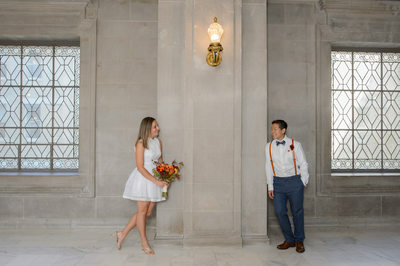 There is also a small little forest area nearby that provides a beautiful backdrop for additional wedding photography.